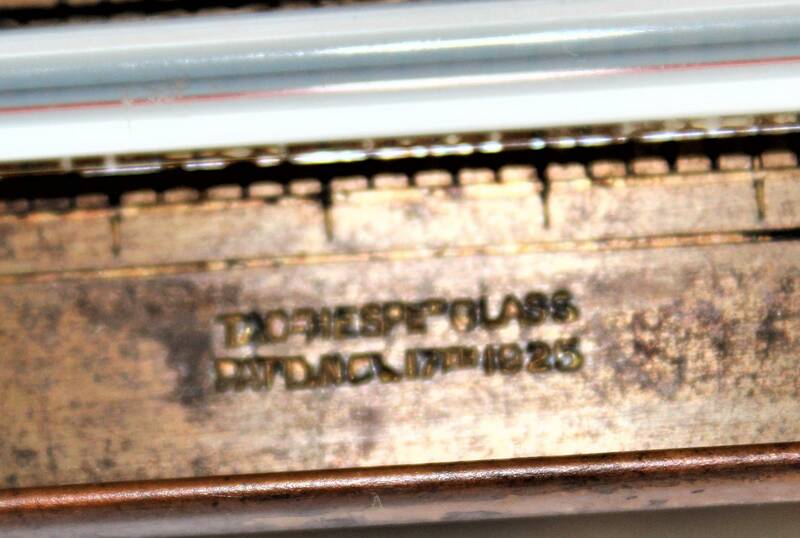 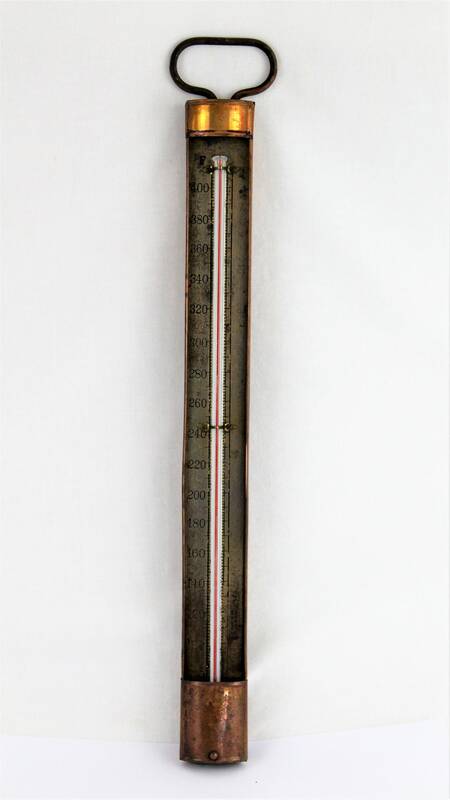 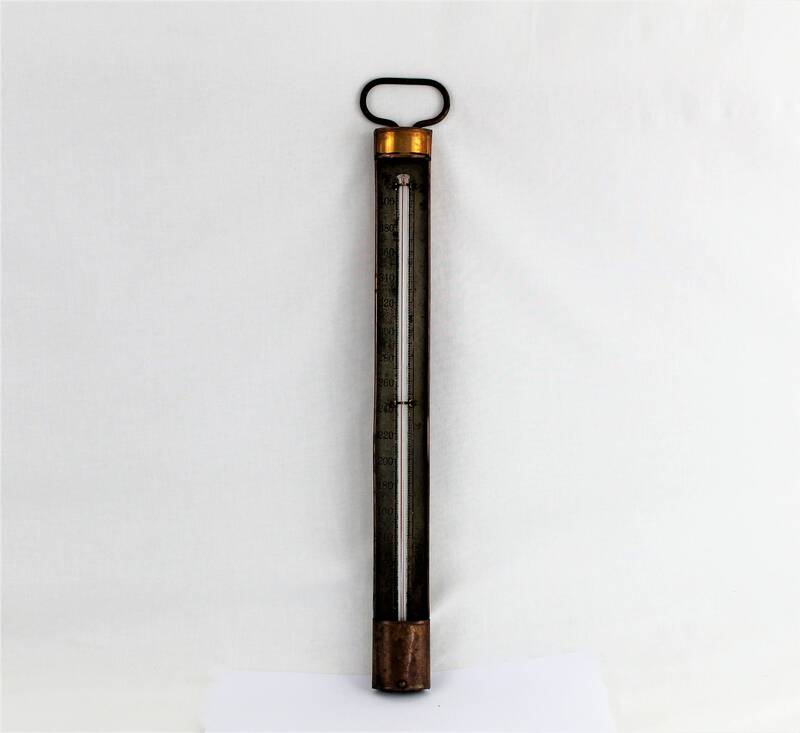 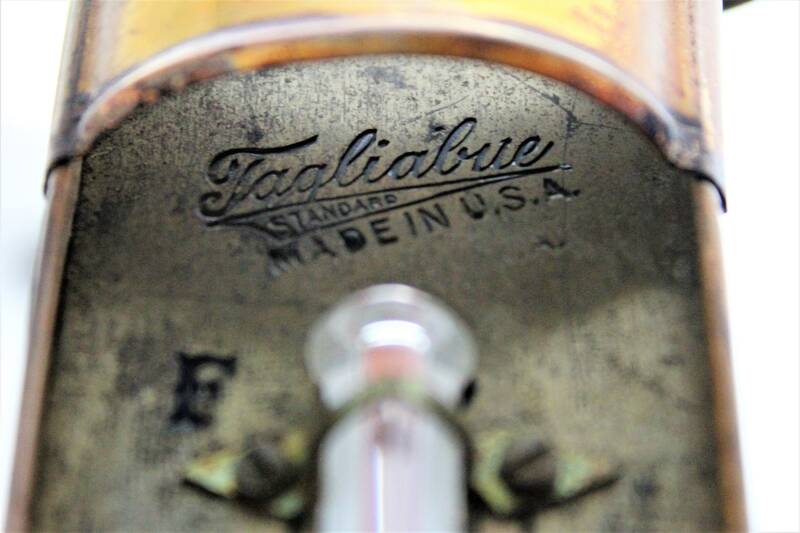 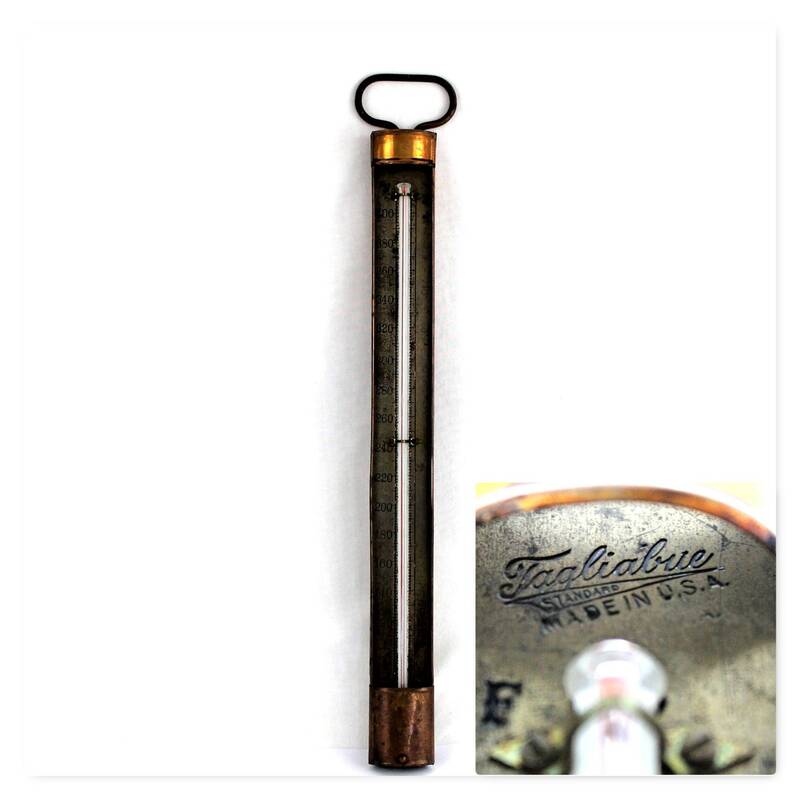 A wonderful rare find this 1925 Tagliabue Standard copper candy thermometer measures up to 400 degrees. 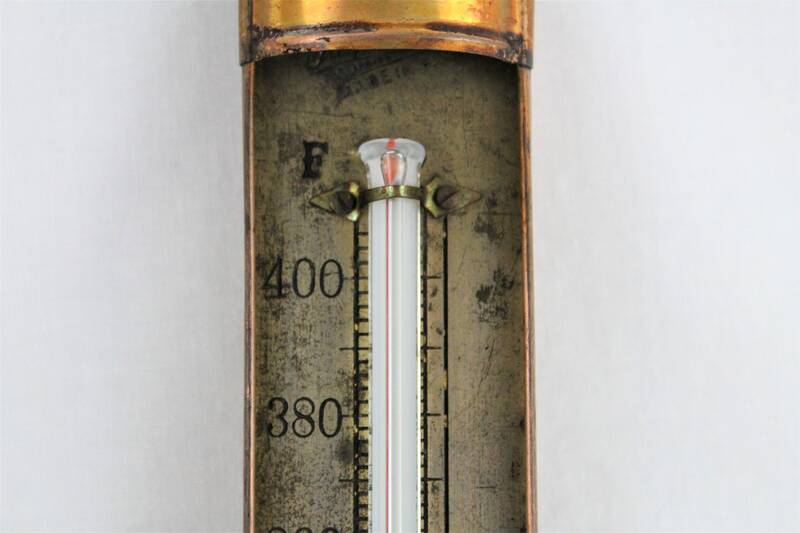 The housing is made of copper with a brass degree plate and glass thermometer the copper is tarnished and has a lovely patina from years of used the thermometer triangle shaped glass with red strip when the mercury rises it covers the red strip with the silver mercury color. 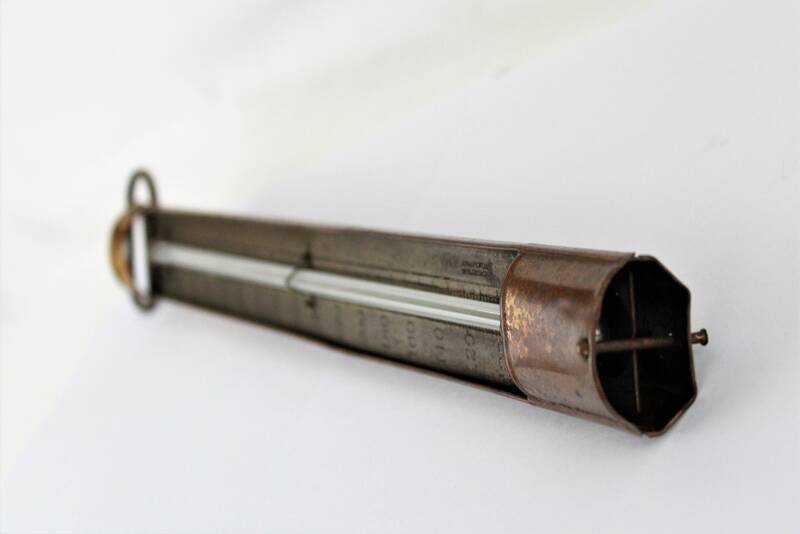 Appears to work well but not tested.